Kevin Walters plans to stick with his starting line-up. 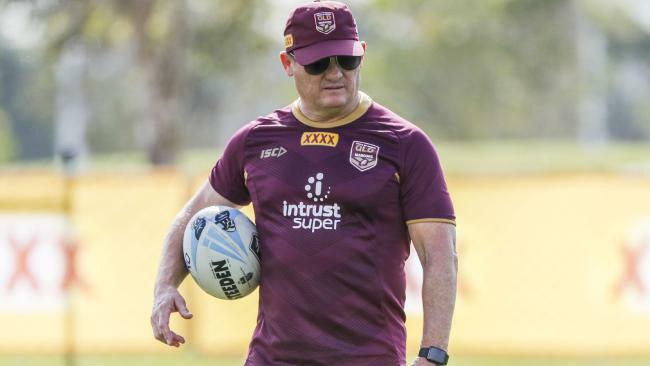 MAROONS coach Kevin Walters has denied he will make any changes to his starting line-up, following speculation from NSW ahead of the Origin III clash. Blues coach Brad Fittler said he expected Walters to pull a last-minute swap with his forward pack, predicting that either Tim Glasby or Jarrod Wallace would start over new front-row combination Jai Arrow and Josh Papalii on Wednesday night. But Walters said on Tuesday he was sticking with the starting 13 he named last Monday for the Suncorp Stadium showdown. "We're starting with what we have," he said. "Those two have earned their right. Josh Papalii and Jai Arrow have both played front row for their respective clubs and done a good job there as well. "I watched (Arrow) play against the Warriors (in the front row in Round 2) and there's no bigger team in the NRL than the Warriors. "He stood up to those guys and I thought it was one of his better games of the season. I'm really excited for Jai to get his first crack at running on. "It's up to him to make the most of that opportunity." The Maroons will head into game three as the underdogs, after the Blues wrapped up the series in Origin II. 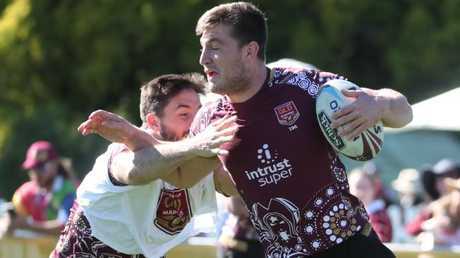 But Walters said no one in the Queensland camp was using the term "dead rubber" with the side determined to avoid a NSW whitewash. "No one likes to be tagged with that," he said of the possible clean sweep for the Blues. "We're doing everything we can to ensure that doesn't happen. No one wants it, particularly this group of guys."